Broadleaf has guided the extension of standard risk management methods into several area of specialisation. Combining the uncertainty surrounding climate scenarios with the uncertainty associated with the consequences and occurrence of risks can be confusing without a clear, structured approach. Broadleaf extended the conventional approach to risk assessment into a planned, two-stage process that accommodates the complexity of climate change risk management. It remains consistent with the standard ISO 31000, illustrated in Figure 1. Broadleaf was at the forefront of exploring the application of risk assessment methods to risks associated with climate change. In partnership with Marsden Jacob Associates, we developed the original Commonwealth Government guide to assessing risk in this sector, the Australian Greenhouse Office (AGO) publication Climate Change Impacts and Risk Management – A Guide for Business and Government. Building on Australian climate change scenarios developed by the Commonwealth Scientific and Industrial Research Organisation (CSIRO), we held a series of risk assessment workshops across Australia to trial and refine the application of the standard risk management approach to this challenging topic. 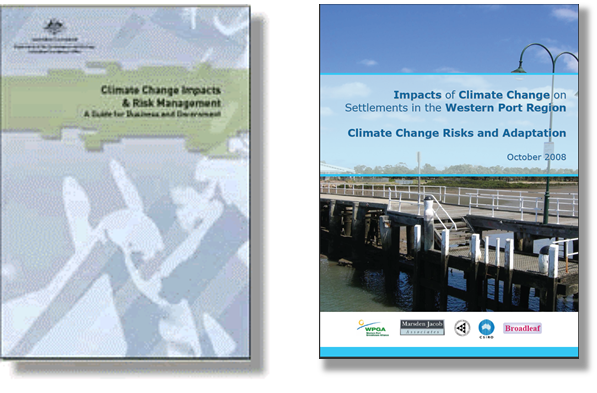 In subsequent work funded by the Commonwealth Government, we planned and facilitated the assessment of climate change risk for five local authorities in the Western Port region of Victoria in south east Australia. Our approach to combining the uncertainty in climate scenarios with the uncertainty associated with the consequences and occurrence of risks was further refined through this major study. We led a project to develop guidance booklets on the effects of climate change on specific infrastructure sectors, including transport, power, water, communications, industrial and recreational facilities, and buildings, each with multiple sector elements. In conjunction with Marsden Jacob Associates, we participated in a risk assessment of the effects of climate change on Victorian agriculture. Scenarios describing changes to the climate that could arise by 2030. 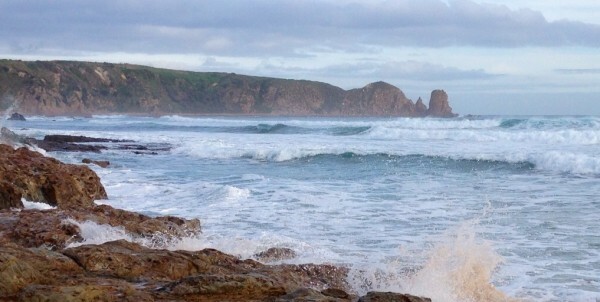 In conjunction with Marsden Jacob Associates, we participated in a climate change risk assessment for Parks Victoria. Broadleaf's focus in this project was on risks with consequences for biodiversity. We have worked with local authorities to assist them to assess and deal with the risks they face from a changing climate, in addition to our activities with the Western Port councils noted above. We developed briefing materials and facilitated a climate change risk assessment workshop, as part of a larger project conducted by Marsden Jacob Associates to identify the risks and develop an action plan to manage the impacts of climate change on the City of Boroondara's residents, parklands and infrastructure assets. We worked with Redlands City Council in Queensland to identify and prioritise climate change risks then to develop an adaptation plan to limit the damaging effects of the most severe risks. South Gippsland Shire Council engaged us to review their risk assessment methods and to facilitate a review of their climate change risks by their senior management personnel. Broadleaf has advised several power supply and transmission businesses on project and operational risk management. Among these are investigations stimulated by growing concern about the effect of climate change on bush fire risk and the danger of electricity infrastructure either being damaged by or causing fires with consequential damage to public and private assets. Specific details of clients cannot be released due to commercial sensitivities. Dale Cooper has delivered several presentations on the effects of climate change in different parts of the world, and the application of risk management to addressing them. New Zealand Society for Risk Management, Conference on Climate Change: What Does it Matter? For other work related to environmental matters, please see our dedicated page here. An international food processing company needed to make strategic decisions about the effects of climate change on its operations and the value of its business. 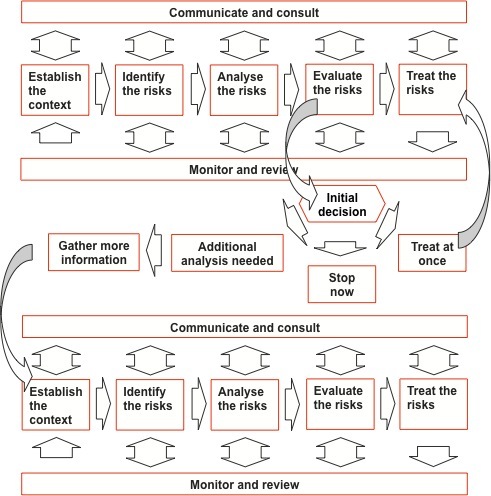 A risk management process was tailored for the specific context of climate change, using scenarios and climate-change drivers to structure the assessment. The case demonstrates the value of sound preparation, comprehensive briefing material and good facilitation for dealing with long-term risks and environmental uncertainty. Our client was the owner of a portfolio of high-rise residential buildings. It planned to install wind turbines on several of its buildings. The aim was to enhance its reputation for sustainability by reducing greenhouse gas emissions, offsetting energy use from other sources and striving for a ‘zero carbon’ outcome. The risk assessment we facilitated provided a comprehensive understanding of the challenges the project would face and how they were related to one another. Managing the methane in coal seams is important for mining companies: to maintain operational safety, as a potential source of energy and to minimise greenhouse gas emissions. This case outlines how a coal company examined strategic options for dealing with the gas associated with mining. It illustrates a structured process for collecting and classifying information, identifying the components of decisions and developing options for subsequent evaluation. A forestry company sought to compare the risk profiles of returns from sequestered carbon and timber arising from a typical first-rotation softwood plantation investment. We produced a model that compared the values of future cash flows associated with carbon and timber. The model highlighted uncertainties in the market returns from the products and allowed them to be compared over a 33-year rotation. How much is a forest worth? A public sector forestry business was contemplating asking private sector organisations to invest in new plantations, on land under its control, to produce structural grade timber. We were asked to assist in the development of financial models that would assist the business in evaluating bids from private sector proponents. Broadleaf worked closely with the proponent of a wind farm development to assist in constructing a business case and an information memorandum for potential investors. Our work was particularly concerned with aspects of uncertainty in the business. This case study outlines some of the more interesting features of our work.